In a large bowl, combine oil, garlic, basil, marjoram, dill weed, thyme, oregano, parsley, red pepper flakes, and salt. Stir in potatoes until evenly coated. 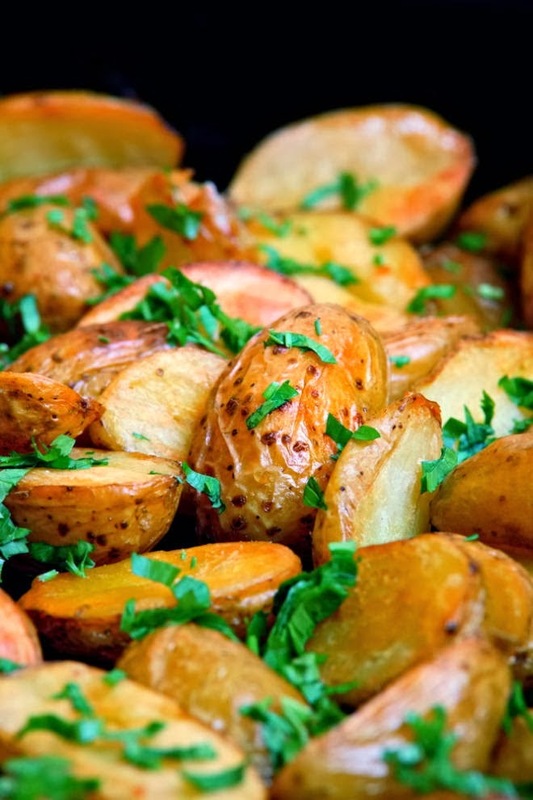 Place potatoes in a single layer on a roasting pan or baking sheet.